PrivateWin10 is an advanced Privacy tool for windows it provides a simple and comprehensive UI for tweaking privacy settings, as well as options to block system access to files and registry keys in order to enforce privacy whenever Windows does not provide a satisfying setting for that. Ardamax Keylogger is a keystroke recorder that captures user's activity and saves it to an encrypted log file. The log file can be viewed with the powerful Log Viewer. Windows 10 is faster, smoother and more user-friendly than any Windows operating system that has come before it. 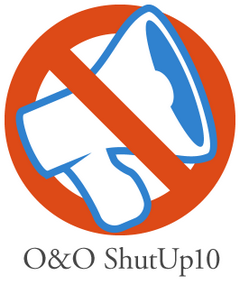 Windows 10 is everything Windows 8 should have been, addressing also major problems users had with Microsoft’s previous-generation platform (e.g. Windows Start Menu — have a look at our former project StartW8, more than 800 000 downloads). Windows 10 did bring many of the features users expected of, but now Windows comes with tracking included and this looks so sad and insecure for personal data. «Remove Windows 10 Spying Features» is a simple tweaker application that aims to solve this problem fast and clear. 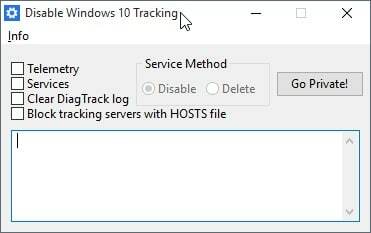 Disable Windows 10 Tracking — A tool that I created to use some of the known methods of disabling tracking in Windows 10.